Only yesterday HEXUS noted that Intel had published the Gen11 graphics white paper. This new integrated graphics solution is expected to be big for Intel when it arrives in 10nm Core processors such as Ice Lake and 10nm Atom SoCs like Elkhart Lake. Intel Gen11 graphics pump up the performance available from its integrated graphics solution by 2 to 3x, and introduce lots of desirable modern features like Coarse Pixel Shading and Active Sync support. Previously it has been hypothesized, based upon the 'advertised' performance uplift available and architectural details of the Gen11 graphics components, that Intel's upcoming Gen11 graphics would put its iGPU performance on a par with that of modern AMD APUs. Recently we saw Gen11 graphics show up in the less popular GFX Bench and CompuBench synthetic benchmarks. Now, thanks to the benchmark leak wizard Tum Apisak, we have a clearer indication of how Gen11 graphics might compete in PC gaming terms. 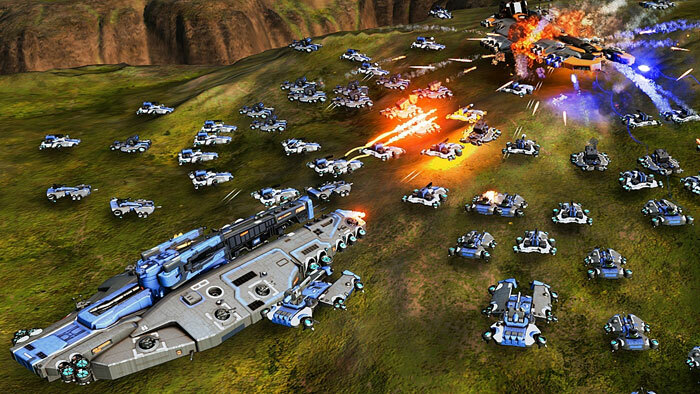 Apisak shared a screenshot of a purported AotS run in the Ashes of the Singularity game benchmark. You can see the benchmark report above. It says that the unidentified processor came packing Gen11 LP graphics, alongside a CPU with 4C/8T and 8GB of RAM. 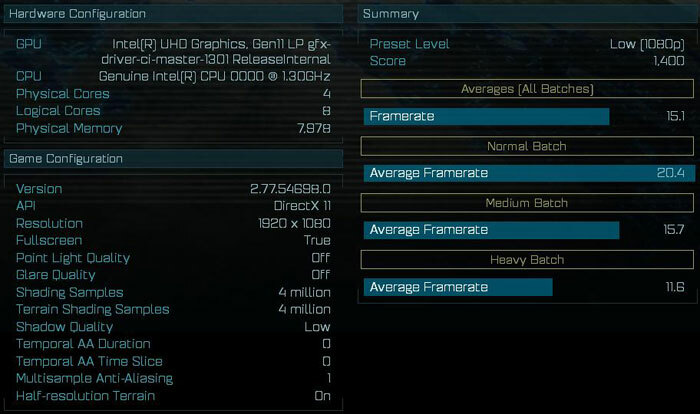 The benchmark ran at FullHD using the 'low' preset to score 1,400. In comments following his revelatory Tweet, Apisak provided some direct AotS comparisons for any interested folk. For example, an AMD Ryzen 3 2200G (Vega 8) scores between 1800-2500 in the same test. A system packing a processor with 4C/8T, Intel UHD Graphics 620, accompanied by 16GB of RAM, scores approx 700 in the same test, showed Apisak. Lastly, and perhaps importantly, it is thought that the Gen11 graphics in the headlining AotS test is equipped in a mobile processor. The arrival of another GeForce GTX16 series graphics card is widely anticipated to happen in the coming few weeks. Nvidia's GTX 1650 (and possible GTX 1650 Ti) will slot in below the GTX 1660 (Ti) models to exert pressure on AMD in the US$200 and below market segment. The level of product proliferation is likely to make this area rather busy and pretty competitive. HEXUS has previously reported upon GTX 1650 rumours a few times before, and today there is a very good indication that this SKU is nearing release. 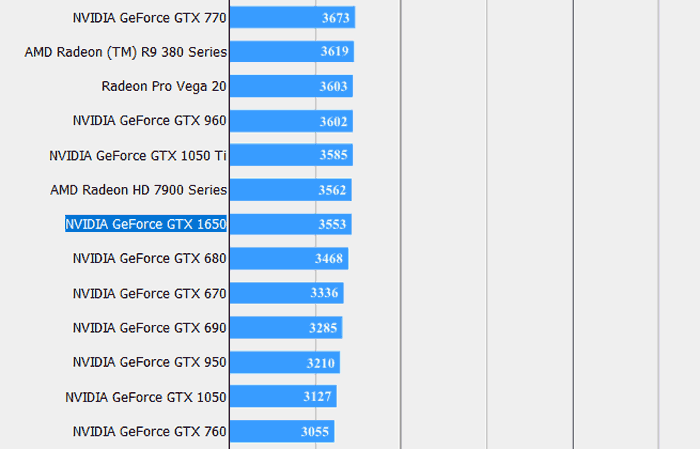 Tum Apisak spotted that the GTX 1650 has appeared in the official Final Fantasy XV online benchmarks comparison tables. If you want to find this benchmark result yourself, go to this page and scroll down to the section for the benchmark running at 2560 x 1440, Lite Quality. Here you can see that a GTX 1650 card has run the FFXV benchmark and scored 3553. That score is very near to cards such as the Nvidia GeForce GTX 680, GTX 1050 Ti, and GTX 960. It compares very closely to AMD GPUs like the Radeon HD7900, Pro Vega 20, and R9 380 too. The GTX 1650 is significantly slower in the FFXV benchmark than its brethren, the GTX 1660 (scores more than double, at 7155) and GTX 1660 Ti (scores 8322). There is not much to get excited about here, except you might be able to play more recent (say, 2012 hehe) games on your work laptop than before. So AMD's APUs are still utterly dominant… if the rumoured specs for the 3600G are true Intel are still a long way behind. I wonder how long AMD can keep that up though? If that is the case, why don't they? I play Starcraft 2 99% of the time, and that was released in 2010. Not sure how much fun it would be on a track-pad though, i.e. hell.